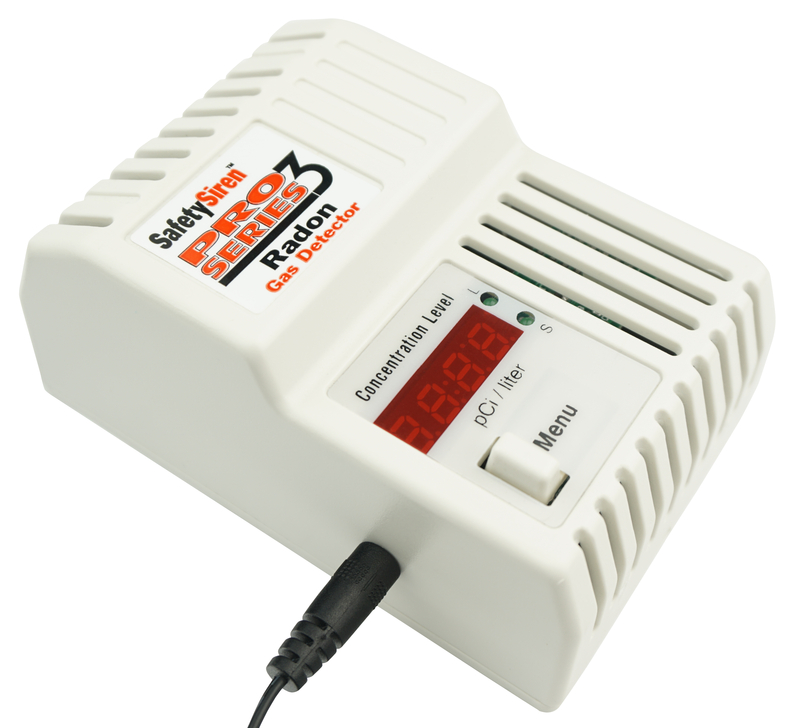 The Family Safety Products Radon Detector is a really cool product! We keep one running in our house at all times and have found ways to reduce the amount of radon we’ve been subjected to. We had high radon levels and were able to help so this tool has potentially saved us some serious health issues. We’re sure you’ll like this product and the benefits it comes with! Numeric LED radon gas detection level display range: .1 to 999.9 in pCi/L. Short and long term readings. Short-term readings: 7 day radon average. Long-term readings: radon averages since powered-up or last reset. 5-year maximum. 4 function menu button Green LED illuminates next to S (short-term) or L (long-term) display. Button to mute or reactivate audible alarm when unit is in alarm. Digital Continuous Radon Gas Monitoring with Home Radon Alarm. Protect your family from lung cancer from radon gas exposure with the only EPA evaluated radon gas alarm. The Safety Siren Pro 3 Electronic Radon Gas Detector from Family Safety Products. As seen on TV, this is not like a single-use radon test detection kit, this digital radon gas monitor for home testing is a continuous radon tester that performs continuous radon gas monitoring. The clear, easily read digital radon level display shows short-term radon levels as well as long-term radon level averages. 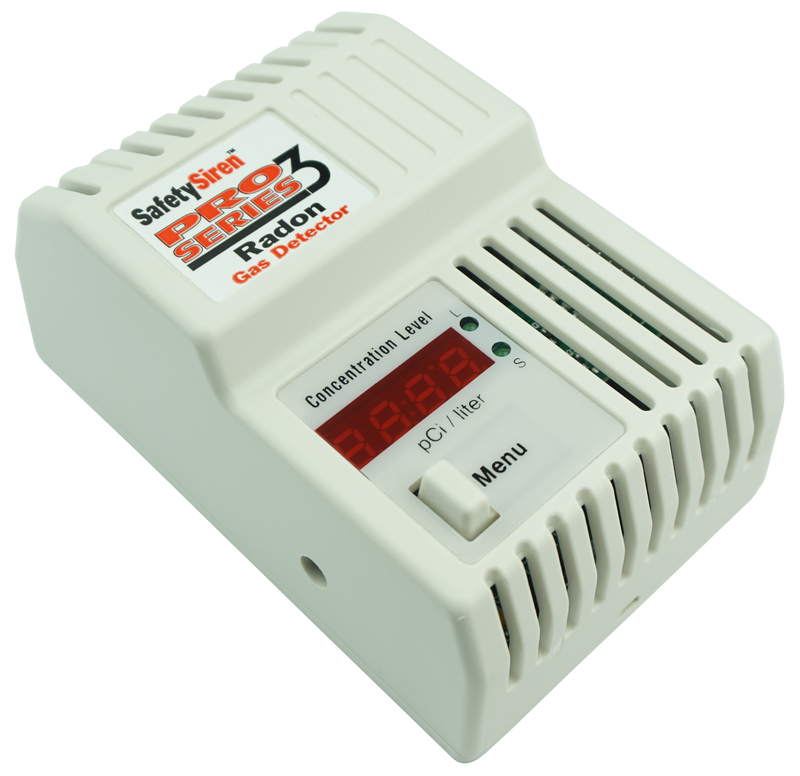 The Safety Siren electronic radon monitor gives its first radon reading after 48 hours of radon gas sampling.